While Free Comic Book Day has been turning into the kickoff for the summer sales season, more of the action looks to be developing for later this year. 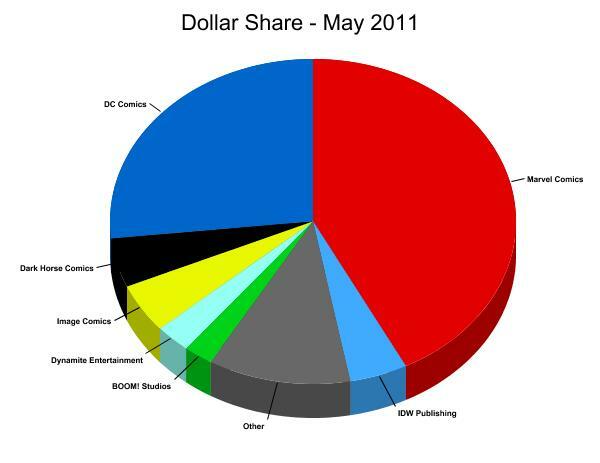 Retailers gave away hundreds of thousands of free comic books in May but didn't order as many of the for-profit ones, making for a month that was softer year-over-year in all categories, according to data released today by Diamond Comic Distributors. The preliminary rankings for May 2011 can be found here. Unit sales were off by the greatest amount year-over-year, which is not too surprising: May 2010 saw the release of 2010's best-selling issue, Avengers #1. 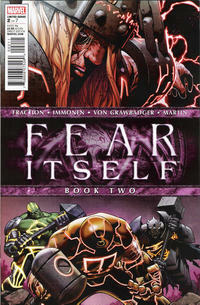 This year, Marvel's Fear Itself #2 took the top slot, followed by DC's Flashpoint #1; at first glance, it looks like the high-water level for top-sellers this month was probably in the 90,000s, but we'll know more when the full list releases. Notably, Avatar had the top-selling graphic novel, the 3-D Crossed 3D Vol. 1 . It's a reminder that while digital may have come a long way, there are still plenty of tricks in the print comics bag (and 3-D comic books go back more than 50 years). The average price of comic books in the Top 100 was $3.37; the average comic book ordered (or weighted price) was $3.42. $2.99 was both the median and most common price for comics in the Top 100.